Congress is on a week-long recess this week—why, I don’t know—but last week it made two historic moves when GOP Republican senators voted against Dictator Donald Trump (DDT)—twice. Both of them are resolutions that opposed DDT’s power, and one has already been vetoed. The first has been returned to the House for approval after the House already voted in favor of a similar bill. The War Powers resolution would eliminate U.S. military support for the assault on Yemen in a coalition led by Saudi Arabia. Since 2015, U.S. forces have provided targeting and refueling support to Saudi and United Arab Emirates warplanes that deliberately bomb civilian targets. A complete failure, the Saudi war against Houthi rebels has created the worst cholera epidemic in modern times and “the worst humanitarian crisis in the world.” Fourteen million Yemenis are on the edge of starvation. Saudi needs U.S. support to continue the war, and DDT’s administration plans to continue its support despite bipartisan opposition to DDT’s loyalty to the murderous Crown Prince Mohammed bin Salman. Senate does have a bill to stop U.S. sales of weapons to Saudi and place sanctions on Saudi after MBS’s torture and dismemberment of U.S. resident and journalist Jamal Khashoggi. Passing the resolution with a 54-46 vote, the Senate supported the resolution for the second time in three months. Last December, House Speaker Paul Ryan (R-WI) refused to allow a vote after the Senate passed it 56-41, but the House now passed it by 248-177. Congress has not withdrawn U.S. forces from an authorized war for 45 years. The second historic congressional action was the 59-41 vote to overturn DDT’s national emergency wall-building order after the House had passed the bill by 245-182, a bill that DDT almost immediately vetoed. Twelve Republicans voted against DDT after he spent almost two weeks begging them to support him. GOP lawmakers voting against DDT’s executive order know that the Constitution grants Congress, not the president, spending control. Caving in to DDT’s threats to campaign against them in 2020, all GOP senators running for re-election except Susan Collins (ME) voted for his emergency declaration although several of those who voted against the resolution said that they supported it. Last month, Thom Tillis (SC) said he would vote for the disapproval, writing in an opinion piece for the WaPo that there would be “no intellectual honesty” in supporting DDT’s executive overreach when he had opposed that action under President Barack Obama. He lost his “intellectual honesty” and supported DDT’s executive overreach with the excuse that DDT will stop presidential powers with changes to the National Emergencies Act. One new senator asked for a bribe in exchange for her vote. Appointed Sen. Martha McSally (R-AZ) told VP Mike Pence that she’ll vote against the bill blocking DDT’s emergency declaration if he gives her more money for the military in Arizona. She may have to vote for more Pentagon funding because the Pentagon wants more funding if it has to pay for wall. Democratic representatives plan an override vote on March 26 although Republicans will most likely not vote to oppose DDT’s emergency declaration. The Senate would need eight more votes to override the veto, and 21 are under DDT’s thumb if they run for re-election. Only one, Tennessee’s Lamar Alexander, has said he won’t run for re-election. Schumer has suggested that Democratic senators may attach Rep. Juan Castro’s (D-TX) disapproval resolution language as amendments to larger bills, including spending and defense funding reauthorization. Republicans who allow DDT to pluck money from the military for his wall may be in trouble with their constituents with the loss of jobs for the projects. For “standing” to be able to sue, plaintiffs must prove they are harmed. The states argue that the funding will be diverted from state-based projects, and landowners can sue for seizure of their property. Democratic legislators can also sue with the precedent of Republicans suing President Obama for payouts to insurers under the Affordable Care Act that were not approved by Congress. The question of whether an emergency at the southern border must be proved, and DDT said, “I didn’t need to [declare an emergency].” Other arguments against the emergency include data about lower crossings, less crime from immigrations, and drugs moved through official ports of entry can also be argued. Congressional majority votes against the executive order also factor into this decision. The third point argued in the lawsuit is whether the wall construction is a “military” project. Border enforcement is typically a civilian project, and leaders of the military complex have already said that it is “security,” not “military” as DDT’s acting Defense Secretary Patrick Shanahan testified to the Senate Armed Services Committee. Four days after Congress passed the resolution to overturn DDT’s executive order, acting Defense Secretary Patrick Shanahan provided a list to Congress with several hundred construction projects costing $12.9 billion in dozens of states and U.S. bases around the world that would be impacted shortly after DDT’s acting chief in staff Mick Mulvaney said that no list exists. The release of the list to the media has resulted in a hornet’s nest of papers across the United States furious about the losses to military construction projects. McConnell’s power hasn’t brought him popularity. He’s up for re-election next year, and 61 percent of people in Kentucky think it’s “time for someone new.” Only 32 percent think he “deserves to be reelected.” Before January, McConnell was the third more unpopular senator in the country: Sens. Jeff Flake (R-AZ) retired, and Claire McCaskill (MO) were voted out of office. McConnell’s state disapproval rating of 47 percent last year went up to 56 percent in February. Nation-wide, 40 percent of people gave him an unfavorable rating. DDT’s base and GOP legislators wanting to get re-elected seem to be the only ones defending DDT’s wall. Four-star Gen. Terrence O’Shaughnessy, tasked with troops at the southern border, told Congress that Russia is the main threat facing the U.S. No mention of Mexico, caravans, or drugs. He added that “the threats to our nation from our southern border are not military in nature.” At least, DDT may have decided not to take $1 billion from military pay and pensions for his wall. 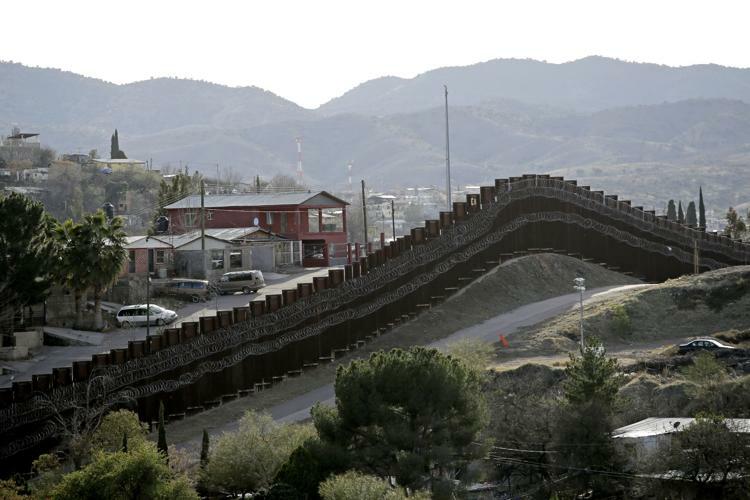 Sixty percent of Texas voters disapprove of President Donald Trump using emergency powers to fund the wall; 52 percent of voters said they don’t believe undocumented immigrants crossing the border amounts to a national emergency. According to 57 percent of Texas voters, a wall on the Mexican border would not “significantly decrease violent crime in the U.S.” while 54 percent said the wall would not “significantly decrease the amount of illegal drugs in the U.S.” In the general population, an average of 64 percent polling oppose the national emergency. Only 27 percent of poll respondents oppose a veto override; 46 percent support the override. Another of DDT’s broken promises: Mexico isn’t paying for the expensive, unneeded wall.